This is the first project I've used the PA Field Stone which I picked up at Balducci Stone Yard at Maryland Line on York Road. 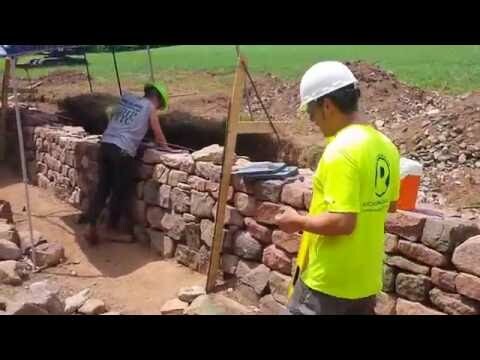 The field stone can be a little challenging when your us to working with a flat bedded stone. This is a nicely weathered stone some with soft rounded edges, lichen and moss. Most of the stone is hard since it has been out in the weather for so long compared to a freshly quarried stone (for the most part). 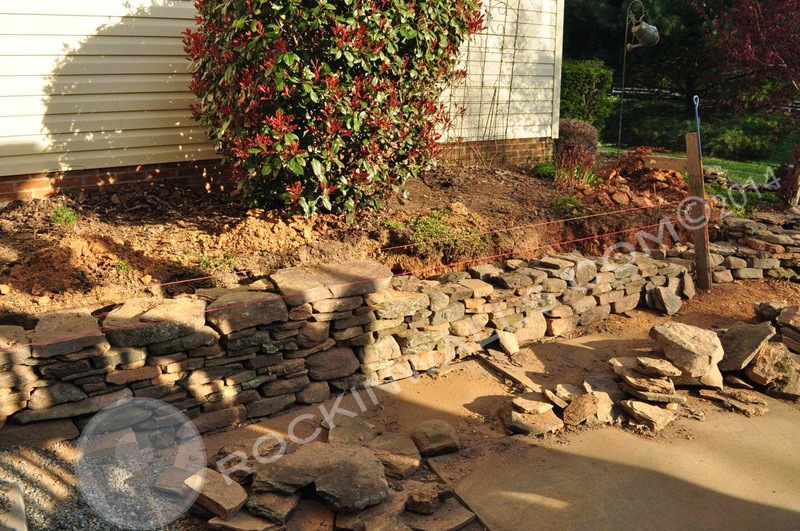 Being a sand stone you can still do a nice job squaring up the stone for a tight fit if needed. One more day and I'll be all wrapped up. 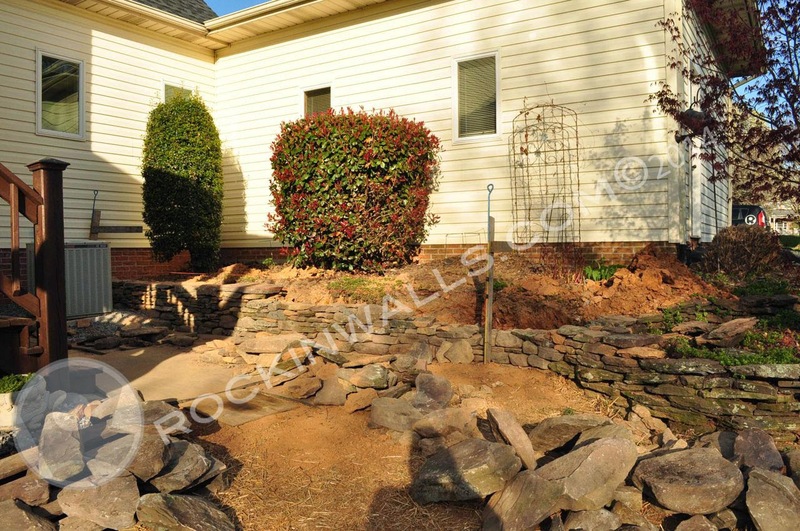 We will see how long it takes before I come back to fix the other section around the Japanese maple..
Before Wall - New PA Blue Stone Patio w/ Granite Edge. 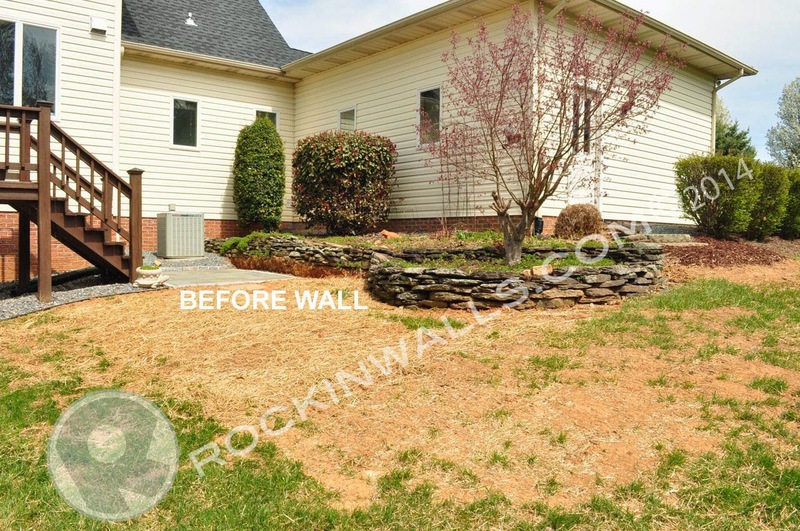 This Dry stack wall was not built by Rockin Walls!